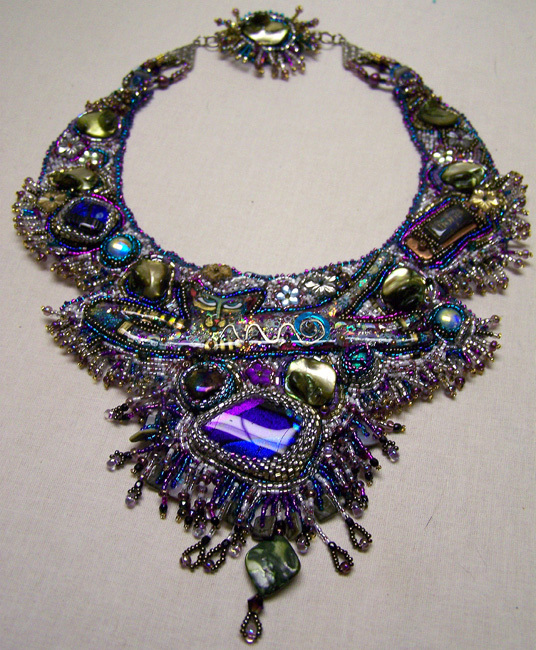 White pearl, silver, turquoise, purple, magenta, and black are the colorways for this intricate bead embroidery masterpiece. Mary's original cast resin Siamese is the focal piece, with accents of dichroic glass, silvery shell, and delicate crystal flowers. 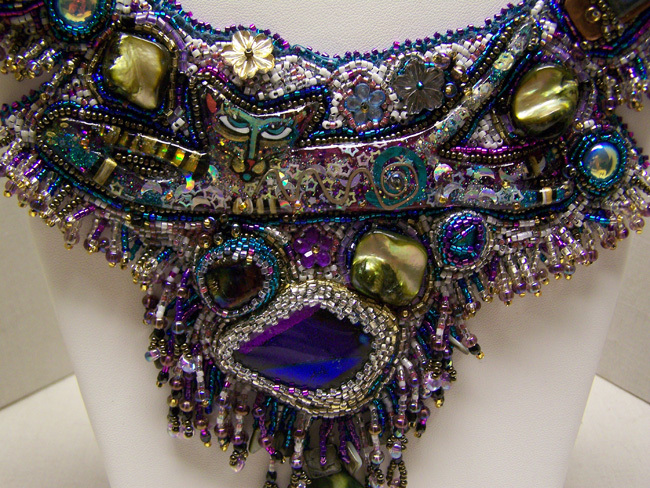 The fringed clasp echoes the necklace design. The necklace fastens with a dual hook and eye. Collar circumference is approximately 16 inches. Length at center front is 5 inches. Light and comfortable to wear. Lined with purple ultrasuede. Signed by the artist. Designed and constructed, one bead at a time, by Mary Smith.